The average dog will cost it’s owner thousands in repairs over their lifetime. Add to that the frustration you experience as a dog owner, and you are left with quite a bill – both financially and mentally. Get your dog the right training now so you can both enjoy life a bit more! Like many, you probably love your dog, but despise their behavior. Puppies and grown dogs alike tend to make their own rules. This means jumping, pulling on the leash, biting and tearing up the house. Puppies and grown dogs alike can do thousands of dollars in damage. You can stop this bad behavior and take control of your dog owning experience! We help rewrite the rules you dog knows. We teach your dog to be responsive to commands, attentive to your directions and help them to manage their excitement to outside stimulus (cars, people, door bell). We can make you and your dogs lives much easier! We Proudly Service Miami-Dade, Broward and Hillsborough Counties! From North Miami to South Beach, we have trainers ready to help meet your dog owner needs. We understand the unique needs of city living, and have dog training programs to fit your needs. Covering Broward County and surrounding areas. We have been training dogs in Broward for years and have probably delivery results to someone you know! Where is a better place to own a dog than Tampa? Rather you are at the dog park, talking a walk by the bay or at a sporting event... make sure your pup is at their best with quality puppy & dog training. A 6 week program (1 class per week) which takes place in your home. We address the basics (sit, stay, heel, come) as well as trouble areas you may experience. 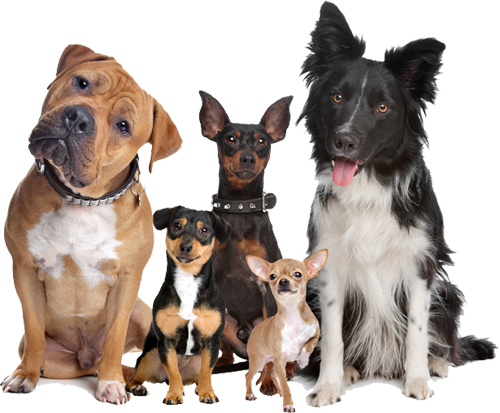 This program is ideal for all puppies and also for adult dogs with slightly bad manners. Learn: Sit, Stay, Come, Heel, Off and More! A 2 week board & train program designed to give your puppy the absolute best training possible for their life ahead. Program includes 6 weeks of boarding & training at our facility, plus 4 classes at your home afterwards. This is a great investment for you and your puppies new relationship. Our Service Dog Training is designed to help with any special need that one might require. We specialize in training our dogs with no treats and no clickers. Our program goes through all basic commands and advanced commands along with the identification of objects and the assisting of grabbing along with the ability to open doors, etc. Program gets follow up classes. The same as our Basic Program, but with 3 extra training sessions built in. The Advanced program is great for dogs who are having troubles with behavioral or obedience issues that need more time to correct. This is a great program for adult dogs with troublesome behaviors. A 2 weeks board & train program designed for adult dogs who are either looking for a quality training program to correct persistent issues. Program includes 2 weeks of boarding & training at our facility, plus 5 classes at your home afterwards. Great program to get your dog to respect you and listen to your commands. This Therapy Dog Training program is designed for the families and dogs that wold like to assist in the uplifting of individuals that need the heart and soul of a canine. These dogs perform commands at any level of distraction with the ability to bring smiles to people and owners.